In 2011, Sebastian Sturm released his third studio album “Get Up & Get Going“, which quickly became a hit with fans all over the world. 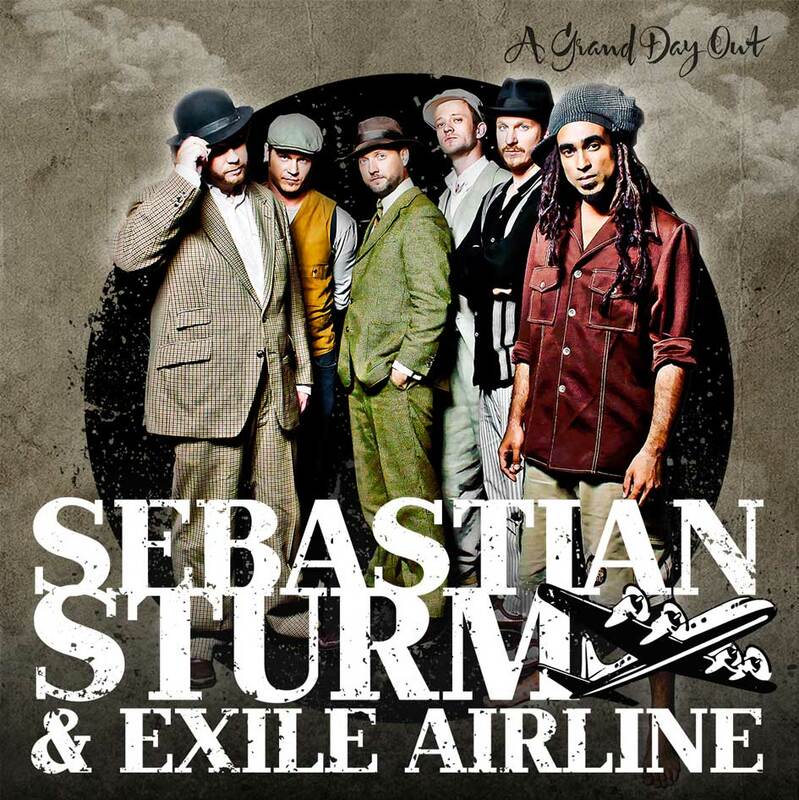 A fresh new vibe and a keen musical harmony was developed during an intense period of touring in support of the record between Sebastian and Exile Airline (the band) which marked a new era in his career. Staying true to the 70’s roots sound which has become their hallmark the band excited fans in the over 90 concerts they played since 2012 where they displayed an advanced musical level and a new enthusiasm that gained them an excellent reputation by critics and fans.With “A Grand Day Out“ Sebastian Sturm & Exile Airline produced an album which embodies the essence of this flavour… a pure and honest recording of 13 songs, powerful in meaning and musicality. With their experience working with some of the greatest reggae artists of all times the jamaican production team of Sam Clayton Jr. and Stephen Stewart lead the band deep into the roots of reggae music. 13 songs recorded in 12 days with the simple philosophy of catching the right moment are the result of an inspiring time the producers & the band spend in a house near Blankenheim, Germany.The record was mixed by Clayton & Stewart in Harry J. Studio, Kingston and Sebastian took the opportunity to experience Jamaica the “cradle of reggae“, feeling the real vibe & meeting some of his personal idols. Among these, Mento-legend Albert Minott (Jolly boys) and Harrisson Stafford (Groundation) a friend and supporter since the beginning, honour the band by performing on two songs with Sebastian and giving their spirit to the music.“A Grand Day Out” is probably their best record to date and the release of this eagerly awaited 4th album will not disappoint and is certain to win new fans and promises an eventful year in 2014.